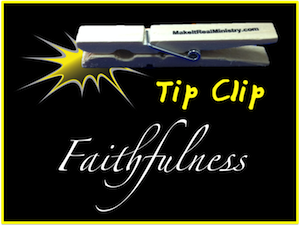 In Greek, the word for faithfulness is pistes. It means reliably trustworthy. Can you be trusted to be reliable? Tip: Make a list of unfinished jobs and finish them. Back to Top of "Faithfulness: Characteristics of the Holy Spirit"